Experience the culture, scenery, and wildlife of this fantastic country on your luxury holiday to Sri Lanka.  Just Fly Business can create a truly tailor-made itinerary specifically to your needs with amazing options on business class flights to Sri Lanka, accommodation options, transfers, and airport parking. Whether travelling for business or leisure, your personal consultant will find you the best deal on your business flights to Sri Lanka, while building long lasting relationships with you and your company. So sit back, relax, and get swept away in your trip of a lifetime! The cultural centre of Sri Lanka, Kandy is the gateway to the Central Highlands and was the last capital of the ancient kingdoms that ruled the country. The city is located to the northeast of Colombo and the three and a half hour drive is a spectacular introduction to the country, lined by rubber and tea plantations. Home to the Temple of the Tooth Relic, a series of structures built to house the holy relic of the Buddhist faith, every year in July the Festival of the Tooth, or Esala Perahera, brings the city to life with parades and frivolity. At other times visitors can place petals as offerings and light votive candles at the temple. Insider’s Tip: Taking a day trip from Kandy is a must for all travellers to Sri Lanka. 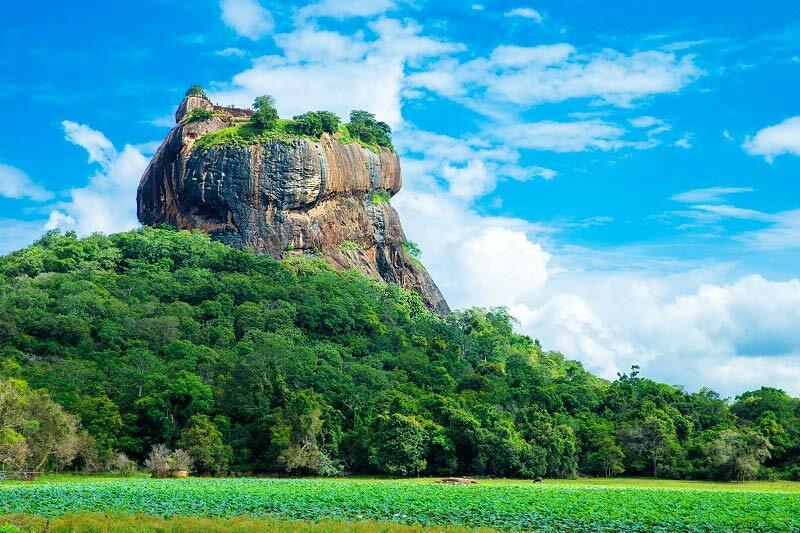 Head to the north and visit Sigiriya with its fortress, a UNESCO World Heritage Site, which dates back to the 5th century on the top of Lion Rock. On the way, stop at Dambulla Cave Temple, another important religious site that is the largest and best preserved cave monastery in the country. The fortress city of Galle on the southwest coast of Sri Lanka was a key trading post for thousands of years. Today, the Dutch built fort and ramparts create a breath-taking walk where once cannons, a lighthouse, a clock tower, and sentry posts all stood. The streets enclosed by the fort wall are narrow and cobble-stoned, with recently restored colonial architecture making a walk through the pedestrian-friendly city a pleasure. Now a thriving art community, it is easy to see why when standing on the ramparts at sunset! One of the first things you notice about Sri Lanka is the sheer numbers of wildlife everywhere, but Yala National Park on the southeast coast of the country offers visitors some of the best vantages. With elephants, water buffalo, sloth bears, dear, crocodiles, and a myriad of birdlife, there is always something to see. For most though, the big draw card of Yala NP is the majestic leopard. With the largest concentration of wild leopards in the world, Yala National Park is an important conservation area for this globally endangered species, and the eco-tourism industry in the area is set up to make sure that no further damage is done. 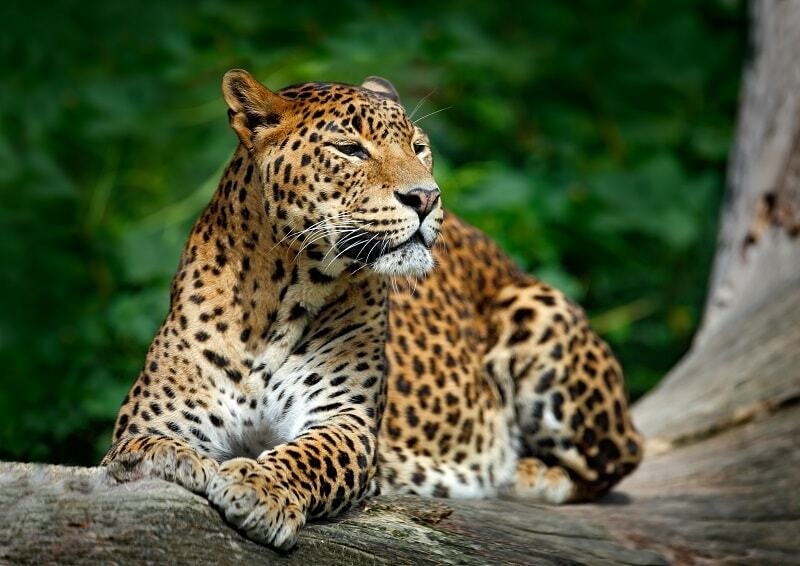 Insider’s Tip: Yala National Park is closed in September and part of October for the breeding season of the leopard. Just like the importance of the time of day for your visit, the time of year is equally as important with the best sightings happening at 6am and after 4pm between February and July. 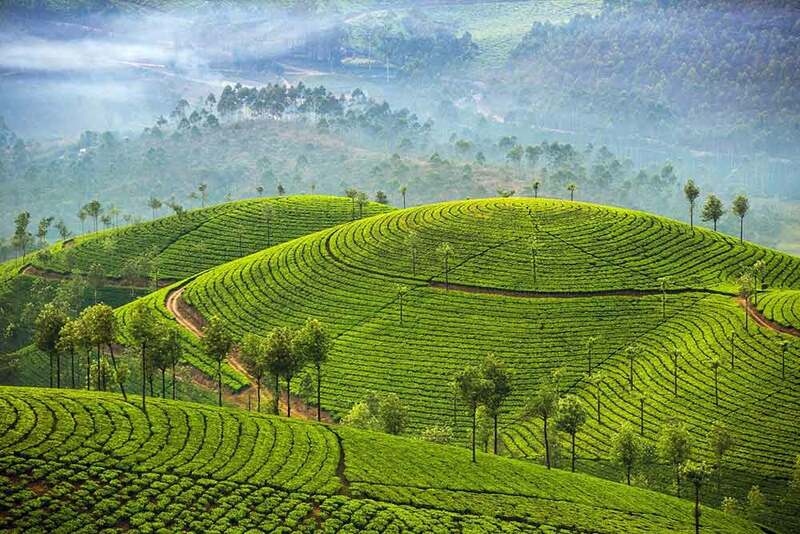 This hilly and green area of Sri Lanka has the country’s largest and most famous export covering the land, tea! With temperate climates in the high elevations, Nuwara Eliya became a retreat for British colonists during the 19th century and still retains a lot of the colonial charm today through the magnificent plantation houses. Located nearly three hours south of Kandy, the road winds through some of the most spectacular countryside in the world, filled with waterfalls, before arriving into the country’s tea capital where Sir Thomas Lipton created his empire. Visit the fields and watch the pickers in this stunning mountain paradise, or take a tour of the Heritance Tea Factory where you can pick your own tea to be packaged so that you can enjoy it that afternoon at high tea, or take it home with you after the holidays to Sri Lanka! Finish your exciting Sri Lankan holiday experience with a few days on the beach. Bentota on the southwestern coast lies halfway between Galle and Colombo and makes for the perfect end to your Sri Lanka trip. Coconut palms and golden sunsets over the Indian Ocean make this one of the country’s best beaches, but the nature lovers can also visit the sea turtle hatchery and conservation centre. After climbing up to rock-top fortresses, slyly photographing leopards, and working in the tea fields, this relaxing beach escape will be well worth the wait! 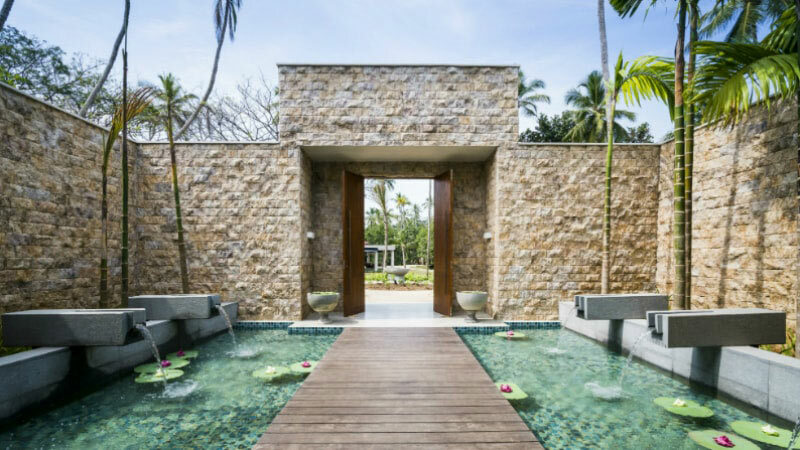 Sri Lanka is a country on the verge of becoming a tourist hot spot, and in such has some fantastic quality accommodation options available to holidaymakers looking for luxury holidays in exotic destinations. With the major beach resorts centred around Bentota, and colonial charm in the hilly areas of the tea plantations, Sri Lanka offers visitors a myriad of natural and cultural experiences. View some of our great value holiday offers to Sri Lanka. 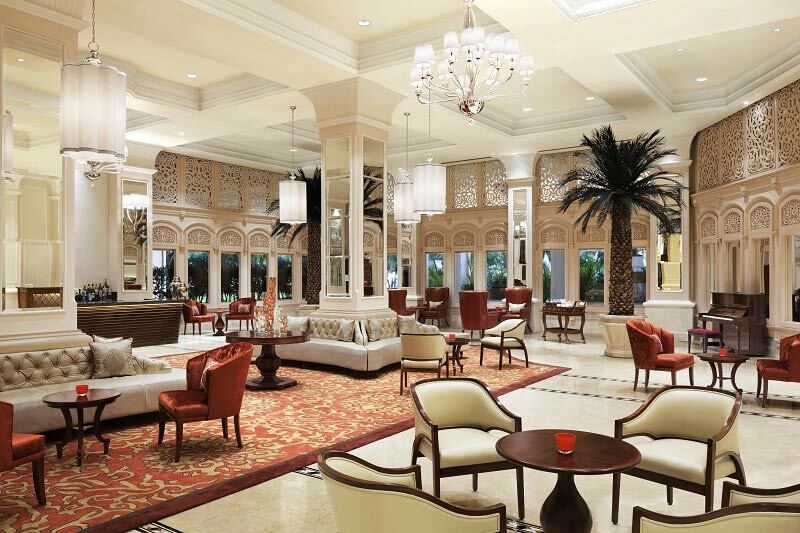 In the capital, Colombo, the Taj Samudra Hotel is offers your business meeting and event spaces of varying size. With an enviable location in the capital, the historic Galle Face Hotel has an elegance and attention to detail that will help make your business meeting successful. Jaffna in the north of Sri Lanka has recently had the rail line re-open from Colombo and gives people what is sure to become one of the most scenic rail journeys in the world. Sri Lanka is also used by travellers looking for a cultural and luxurious twin-centre holiday coupled with the Maldives. Alternatively, stop-overs in Dubai with Emirates or Abu Dhabi with Etihad Airways are a common route.